I would like to invite Prof. Brown to conduct an ethnographic study on Middle Eastern cultures which revolve around the word "eib", "عيب". This Arabic word, in its root, means "flaw", and yet the word in its daily usage, refers to shame. You are told, "eib", as in, shame on you, for doing so and so. Usually, the word "eib" is accompanied with a sentence about what people would think. One’s life is centred on what others think, the flaw which you might be presenting, and the shame which emerges from it. The root of many problems in Arab society are not oppression of women, nor is it dictatorship, etc. It is of us oppressing ourselves with this constant shaming process. We are always told to not reveal our flaws, to always care about what people think – of what we do, how we dress, how we behave, etc. We fear stigma, because we engage in stigmatizing each other. I always love to read the comments on TED talk. This one is the comment for Brene Brown’s talk about shame. This is a very interesting insight about Arab society and I do think that we have such approach too in Asian/Indonesian society. "You Don’t Understand Our Cultures"
"You don’t understand our cultures," said a close friend of mine when I was suddenly lost in our conversation about Indonesian/Malay cultures. While he perceived this as a joke, it really hit hard on me. How could he say such a thing? How daring was he to even say that! It was just too hurtful to hear it and I didn’t think he understood why I took his particular comment so seriously. Being a third-culture kid, I do understand that I am a product of different cultures. I understand that I may not be able to understand those cultures because sometimes only bits and pieces of them were taken. However, some times third-culture kids want to feel belong too. I want to feel that I am belong. 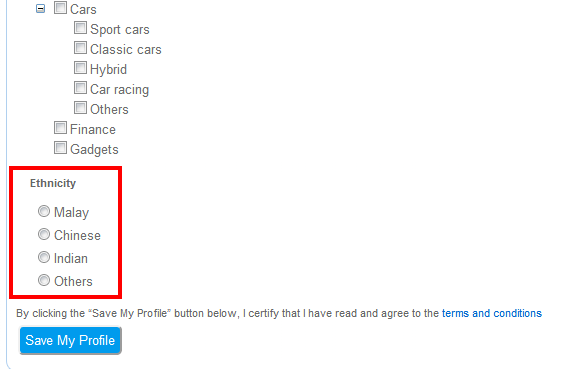 For God sake, I am an Indonesian, albeit not a real one since I’ve only lived there for three years during High School. But sometimes you just don’t want to feel being cornered as a fake Indonesian all the time. When you don’t understand the jokes or some phrases being thrown at you, at the very least you’d want to know what their meanings. But if people keep on cornering you all the time; if people keep on telling you that you are a fake Indonesian and you don’t understand Indonesian culture without even explaining the meanings of those jokes or phrases; how are you going to learn to be a real Indonesian? Or maybe I should just stop trying to be an Indonesian. Just go with the flow and be just me. And this is one of the many reasons why I always hesitate to go back to Indonesia for good. Is Indonesia home for me? No. Not yet. When you have lived in Malaysia for few months, you know what I am talking about. Yes, Malaysia is a multi-racial and multicultural country. Everyone knows that. But I find it intimidating that countless forms, both online or paper versions, belonging not only to government organizations but also commercial companies, contain the question of ethnicity. What does it have to do with anything? Tell me, why does a telecommunication company want to know your ethnicity? How about an internet company? What’s their purpose, really? Ooooh, yes! I still need to adapt and I’m struggling with it. Culture shock is inevitable, even for a person like me who have lived in 6 different countries across 3 continents. Living in a new country is like starting your life all over again from scratch. Finding new friends. Getting acquainted with a new culture. Learning a new language, dialect, or accent. Getting familiar with the life pace. Getting used to the routine. Not knowing where to go. Not knowing who to ask for a shoulder to cry on. Not knowing where to find your comfort zone. Adapting. Adapting. Adapting. They are all part of the stages that a person may have to go through when living in a totally new place. It is normal and I expect this to happen when I’m about to embark on a new life. It is known that there are four stages of culture shock: excitement/honeymoon, withdrawal, adjustment, and enthusiasm. I went through those stages when I first came to Indonesia, Australia, and the Netherlands. 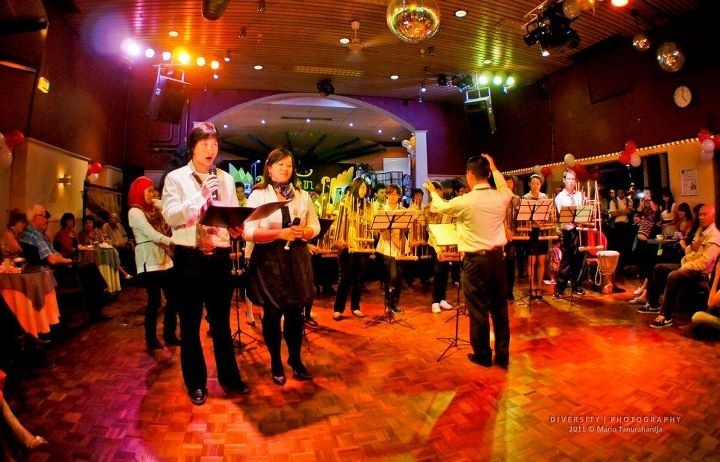 It took me at least two years to reach the fourth stage — the stage where I feel very much comfortable and familiar with the place, people, culture, and everything surrounding me. What I find most shocking about starting a new life in Malaysia is how fast it was for me to shift from the honeymoon phase to the withdrawal phase. It took me less than two weeks to feel restless, moody, lonely, and isolated. The honeymoon phase passed in a blink of an eye. I even forgot that I actually went through that phase! Why is that? When it comes to Kuala Lumpur, there is a lack of excitement within me to explore and get to know the city, its people, and culture. What can I say? Indonesia and Malaysia share almost the same culture and language. There are barely any differences between us. Unlike Australia or the Netherlands, I am not THAT curious. This is also not the first time I visited this place. I’ve been here two years ago and have pretty much visited some (touristic) spots. So I wasn’t interested to see them again. But those are not the only reasons.Â When you are a student (especially in a foreign country), you are part of the recently established “community”. You are one of the newly enrolled students. You are not the only one in the boat. Others take the same boat too. They experience the same thing: struggling to fit in the new culture and environment. They share the same struggle as you do. And they need new friends as much as you do. What about now? It’s a totally different scenario. I am no longer a student. I am a jobless immigrant. I belong to not a single community. I am alone in this boat. There are no meet and greet sessions. There are no orientation programs to go to. There are no available activities or events. I have to search them by myself. That’s the different. Don’t get me wrong. I have few friends and most importantly my sister whose presence has helped me to get over my loneliness. But I can’t constantly depend on them and disturb them. They have their own life and I am the only one who can fix this problem. So… is that it? Well, not really 🙂 I’m in the process of getting up again after a week of miserable moments. I’ve contacted some people on CouchSurfing to meet up (and would probably join some activities too) and I’ve applied for a volunteer work. I love being busy (with activities, not with studies haha) so I’m trying so hard to find some things to do while looking for a job (and while waiting for my laptop to be repaired). Traveling outside of Kuala Lumpur is currently not an option as I am penniless and jobless :). I would love to, though!! I am confident that I can go through this, insyaAllah. I just need to be a little bit more patient. Yay to the new life! Sometimes I don’t realize that it’s been so many years since the last time I lived in an Asian country. To recap, I left Indonesia in the beginning of 2004. So that’s exactly 6 years ago. Six years don’t seem to be a big deal to me, but actually I’ve been missing or forgetting about a lot of things! Things that once was normal, is now an alien to me. I’m talking about beauty products. My only moisturizing facialÂ creme ran out yesterday. So I went to a nearby hypermarket, which was just few minutes walk from where I lived. I went to the skin products section, scanned through the brands, and found the brand that I always bought. There were a range of products that this brand had and I was totally shocked to see that *ALL* of them contained whitening stuff in them!Â Yes, all of them were whitening creme. Disappointed, I went to a pharmacy, hoping to find a non-whitening creme of the same brand. I found it, with only one left on the shelf. I was not very satisfied because this one got no UV-protection, unlike the whitening creme products. But I didn’t have much choice. I quickly scanned through the other brands and all of them were whitening products! (as far as what my eyes could see) Â A big disappointment! This is not about Malaysia. This is not about Indonesia. This is an Asian disease. Â Even the Japanese and Korean people who are already SO white, still want their skin to be whiter! Can you imagine that?! And this is no different with white people wanting to get their skin darker. But at least, I can still find a lot of creme products over there that don’t make my skin darker. Not in Asia. It was a big shock for me to see almost all products in the shelves were for people who wanted to get their face “whiter”! To be honest, it’s ironic that this thing was normal to me back then when I was still in Indonesia. Many of my friends were “afraid” of the sun and tried so hard to avoid it. Having a dark skin was never a favorite among many Indonesians. The guys too would prefer girls with fair skin. Look at all those advertisements. All the models. Actors. Actresses. Most of them have fair skin. Alhamdulillah, I was never a person who wanted a fair skin. I love my skin and I’m grateful for what I have. I was even more proud when my “white” friends used to compliment my skin color. At the start of the event, I was busy welcoming some people from Eindhoven University of Technology (my university!) and Gemeente Eindhoven (Eindhoven city council). They were very warm and friendly! They even told me to do whatever the things I supposed to be doing. Too bad the Alderman couldn’t come (he was supposed to come, but due to the changing of event’s time, he couldn’t attend). I had the opportunity to welcome the people from the embassy on another occasion and I hate to say that they’re very very formal. Some of them were not friendly and they even distanced themselves from us just because we’re ordinary citizens (that’s what I felt). Talking to the Dutch “important personalities” were much more relaxed! 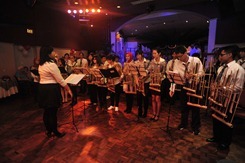 The angklungers performed twice at Made in Indonesia, with different songs. 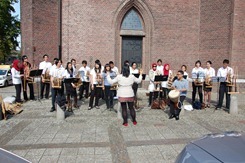 We played Medley Maluku (Nona Manis — Ayo Mama — Rasa Sayange) and Bungong Jeumpa for our first performance. 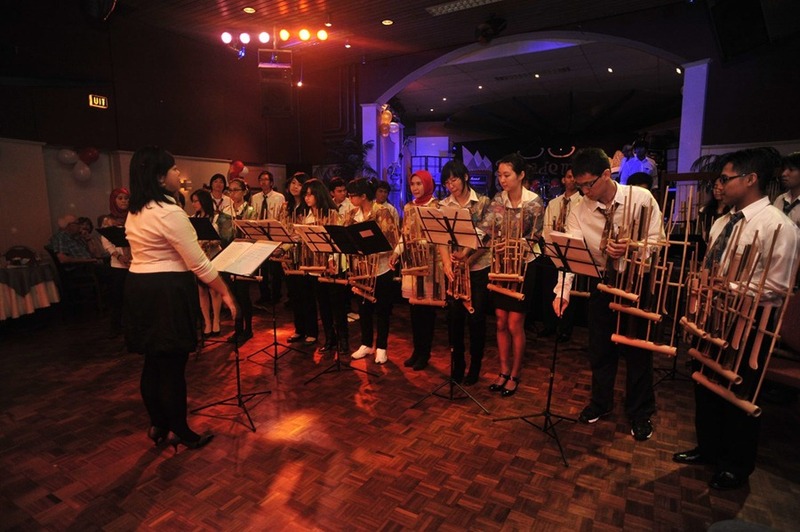 For the second one, we played six songs: Yue Liang (a Chinese song), Yamko Rambe Yamko, Burung Kakatua, Si Patokaan, Tulpen Uit Amsterdam (a Dutch song), and finally Medley Indonesia (Tanah Airku — Indonesia Pusaka). 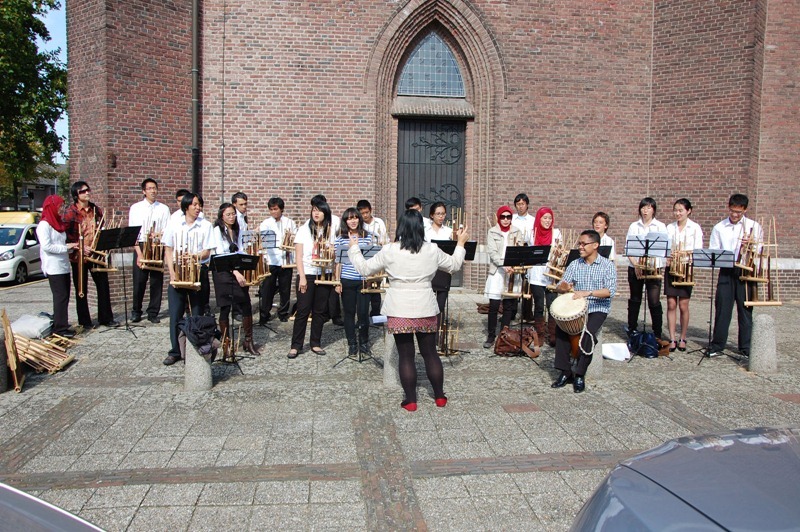 I promised myself to completely take a break from all organization and angklung activities, but I CAN’T HELP IT!!! This event is our last big annual event before the end of our organizational term — before the new president is chosen. Of course I wouldn’t want to miss this chance! I want it to be a successful event tooo! 🙂 Can’t wait for Saturday! Sorry, you are not invited! I don’t know if this is an Asian thing or an Indonesian thing. But somehow, they get offended when they are not invited, be it a gathering, dinner party, wedding party, or anything, really! Some of them may not be offended, but they would keep on wondering why they’re not invited. Sometimes, they’d ask the reason directly to the host! I have no problem at all if I’m not invited, especially if I’m not that close to the host — even if we’re in the same circle of friends. People have preferences and perhaps they want to limit the number of attendees… you know, there are many reasons to that! I don’t give a damn on these things. This attitude of mine usually brings me to "trouble". Sometimes when I told a friend that I would be attending such and such gathering, I would be told later on that she was not invited. There was a sudden silent after that conversation :|. I suddenly felt so guilty for mentioning it in the first place because somehow I felt like she’s offended. This happens so frequently. I just never realize it and I keep on forgetting to be extra careful! Some people would also ask me to invite this friend or that friend because otherwise they’d feel "gak enak" or awkward if he/she happens to know that he/she is not invited. I don’t accept that reason to be legitimate. I know that some people feel more comfortable to be around with some groups of people, so I would accept to invite extra people for that purpose. I don’t mind it at all. But if the reason is "gak enak" then, that’s totally your problem! Not my problem!!! Sometimes I wonder, helloooo… who’s the host here?! I have the right to invite who’s coming to the party and I really find it impolite for them to "force" me to invite that person for the reason that’s not related to mine or the liveliness of the party. Many people (not one or two, but more than five people!) told me that they thought I was a Sundanese! Can you imagine that?! In the beginning I thought it was weird, until someone pointed out that I had a Sundanese accent sometimes. Say what?! Hahaha. Now I know why they thought I was a Sundanese. I’ve been spending too much time with the Sundanese people here! hahaha! I gotta tell you, accents are contagious!!! I would never know that I had been talking like a Sundanese until someone pointed that out. Well, I don’t talk 100% like a Sundanese, but there are some “elements”, like words or stress or voice (?) that can be identified directly to a Sundanese. One thing I failed to realize was that: my accents have been changing depending on where I live and who I talk to the most. Australian. Lebanese. Sundanese. I’ve had those accents (partially) before. 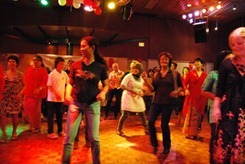 Poco-poco dance is a line dance which is very popular in Indonesia and other SE Asian countries. 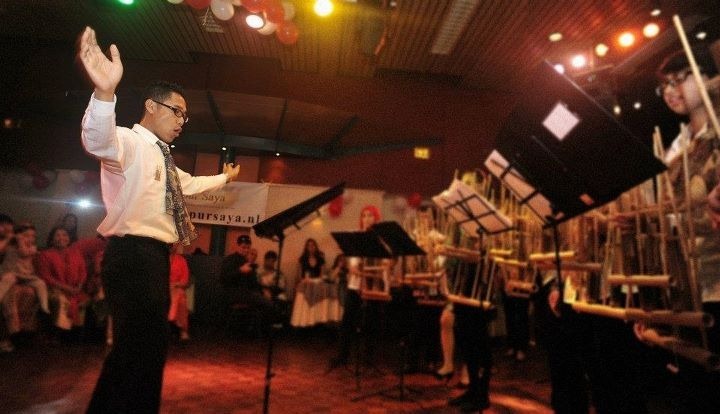 The dance is usually accompanied by the song of the same name, which was written by an Ambonese, Arie Sapulette, and was popularized by an Indonesian singer, Yopie Latul. There are much speculations of where the dance came from. 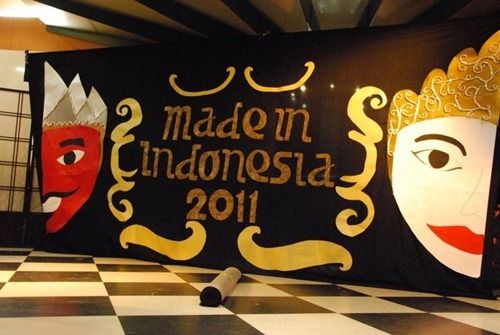 Some say it was originated from Moluccas and some say it was from Northern Sulawesi. People here are crazy about poco-poco! I’ve seen them (read: Indo-Dutch people) dancing in every Pasar Malam (*) events in the country. They’d dance poco-poco no matter what sort of songs is currently played. * Pasar Malam means night market (literally) and is directly associated with Asian or Indonesian event. The “night market” itself doesn’t necessarily open only at night. Most Pasar Malam(s) in the Netherlands have Asian food stalls and music performances. 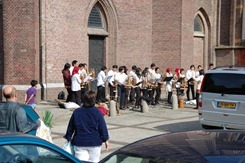 The event is organized in many cities in the Netherlands. 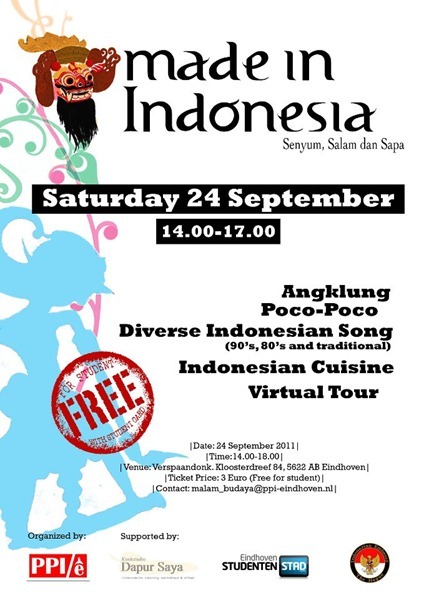 Origins of Poco-poco: Jamaican, Christian or just Indonesian?